With this complete “Panoramic Seville walking tour”, you will have a first contact with the history, the particularities and the most emblematic sites of this wonderful city. Futhermore, you’ll be able to discover the ancient and interesting past of the city, as well as its evolution. It´s possible thanks to the numerous traces spread out which belongs to the different civilizations. We´ll begin in front of the Iglesia del Salvador (Salvador Church), an excellent setting to start an unforgettable experience. In this first part of the tour, we want you to get to know the old city. Thus, we will walk through its beautiful and quiet streets, the area chosen by different civilizations to establish the heart of the city, such as the Roman Empire, from which you will discover some vestiges. Then, you’ll get a taste of the monuments declared World Heritage Sites by UNESCO. First at all, you’ll enjoy a magnificent visit to the Cathedral and bear witness to its awe-inspiring size firsthand. Do you know how many years they needed to finish it? Or by which of its ten doors have the Kings historically entered? In this route you will meet the most beautiful ones, discovering in addition the parts that we preserve of their interesting past. One of them is the Giralda. 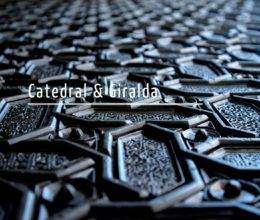 We will also discuss the Archivo de Indias, one of the most important in the world, and closely linked in its origins to the Cathedral. Do you know why? 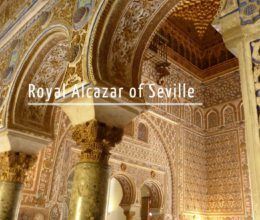 And in front of the Reales Alcázares, home to Muslim and Christian royalty alike, we’ll show you the reason for its importance in the past and in the present. And to culminate this interesting visit, and after knowing other secret corners of the city that we do not want to reveal, we will take you to the banks of the Guadalquivir River, next to the famous Torre del Oro. We will analyze the important role that this navigable river has played in the origin and development of the city, discovering what great expeditions left their ports during a time when Seville was the center of the world. Child from 10 to 16 years old (both included), 5 euros. Under 9 years old, free. Besides this tour, we recommend you to join the rest of our visits “Seville Walking Tours“. We are confident that you will love them!